Join us for an exclusive ladies shopping night with special sales, door prizes, light food and refreshments! The first 100 ladies through the door will receive a special gift! - 1 ticket will be given at the door for attending the event. - For every $1 receive a ticket to place in front of the item of your choice. 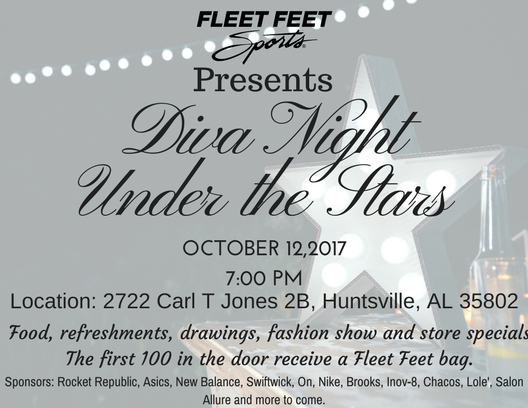 - For every $100 you spend, receive a raffle ticket for a chance to win a $250 Fleet Feet store credit! Two of these will be given away! -The items will be announce at the assigned times of 7:30, 8:00, 8:30 and 9:00.